Think your TV is pretty slim? After seeing LG's new television, you may want to put that flat-screen of yours on a diet. 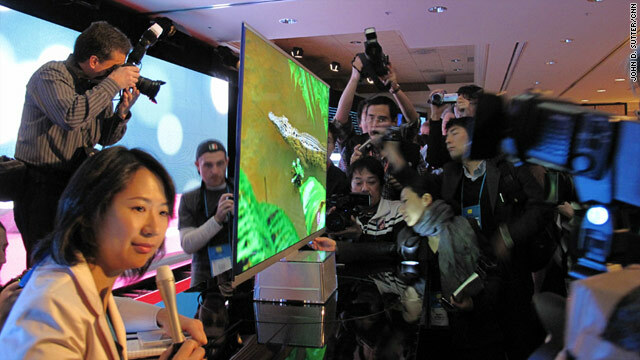 The South Korean electronics manufacturer unveiled a television Wednesday that is less than 7 millimeters** thick. The product, which is so new it doesn't have a name, was brought on stage briefly during an LG press event at the Consumer Electronics Show in Las Vegas, Nevada. It looked to be not much thicker than a piece of posterboard. A spokeswoman said the TV should be available late this year. ** That's just a bit more than the thickness of a couple of pound coins.